This week's Sneak Peek Tuesday item is the Homeboy outfit. 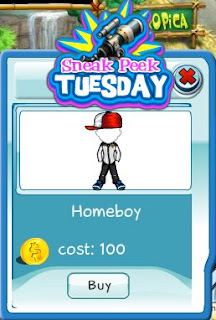 This complete outfit includes a red/white baseball cap, gray jacket, jeans and a blue sneakers. The preview is only for today though!